Lois A. Vining, CMP is the President of Event Planning Services. She has more than twenty-five years experience planning meetings for numerous nonprofit organizations, corporations, and governmental agencies. Her experience includes meeting, seminar, and convention management experience with extensive experience in planning forums and workshops, managing trade shows, and producing special events. Lois earned her Bachelor's degree from Indiana University. She is a former associate faculty member where she taught meeting planning courses for three years. Lois earned the designation of Certified Meeting Professional (CMP) in recognition of achieving the highest level of expertise in meeting management. She is the author of an article which was published in the March 1994 issue of Corporate & Incentive Travel. 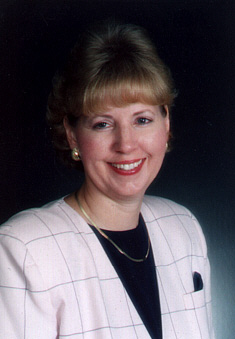 An active member of the Indiana Chapter of Meeting Professionals International, Lois was chosen 1994 Planner of the Year by the Chapter. She is a former member of the Indiana University Alumni Association and the National Association for Women Business Owners. Lois is included in The National Registry of Who's Who and the 1994 issues of The World of Who's Who of Women and Notable American Women.